What information should be left OFF your resume? In the United States we are not accustomed to seeing loads of personal information on a professional resume as is the case in Europe and other parts of the world. It is not atypical for a candidate to put a photograph in the corner and include marital status and birthdate including ***GASP*** the actual year. With the laws we have in place to discourage discrimination in the workplace based on race, age, gender, etc., it is not necessary to include this information and in fact, I recommend against it. 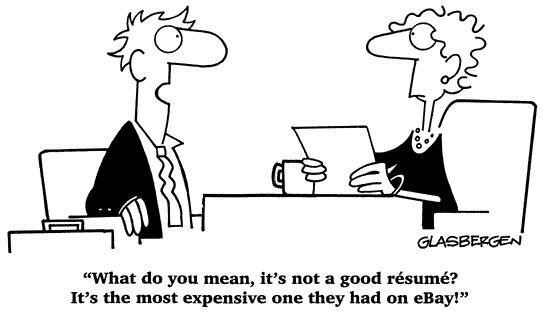 So what things should you leave OFF your resume? Birthdate including year of birth: Sorry folks, this just isn’t relevant information. Don’t put it on your resume. Period. Objective: Want to rule yourself out of a job? Then go ahead and put an objective. If a potential employer reads that you want a challenging and fulfilling position that utilizes your critical thinking and recent MBA, they may think that you will not be happy long-term in their Analyst role, even if all those things are true and possible. Exchange Objective for Skills Summary and you have a better chance of getting a call based on a key word that matches with the employer’s needs. Marital status and children: please refer to number one. Hobbies and Interests: Again, this is just another area that is not relevant to the job and if anything, the fact that you travel and compete in Texas Hold’em Tournaments every weekend could imply to a hiring manager that you may have a hard time coming in to work relaxed and ready to work on Monday morning. High School: Really? Do I have to say why? If you like our articles, subscribe to get automatic updates! Also, please feel free to give us feedback about our blog, our website, or just say hello by filling out the form below. Thanks! ← Resume Tips: What should I REALLY put on my resume?